We went on a turkey feather color hunt to Move and Learn about colors and patterns! 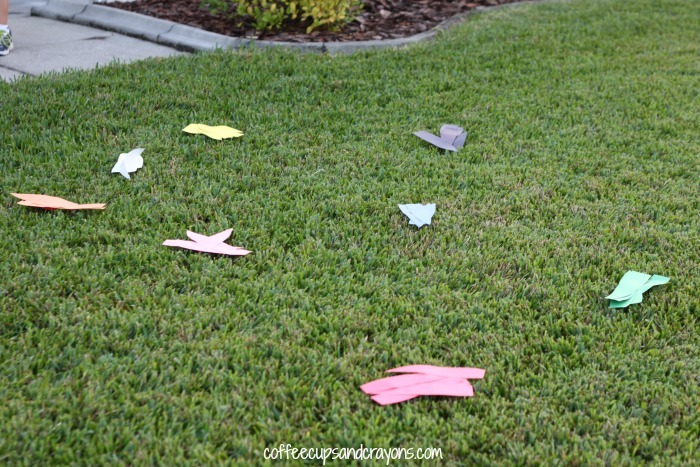 This one was super easy to set up and the kids can keep playing with it all month long. Once all of the feathers can been hunted my preschooler looked through them and identified all of the colors we had found. She then led her big brother and sister in sorting them into piles of each color. This is great science and math practice. 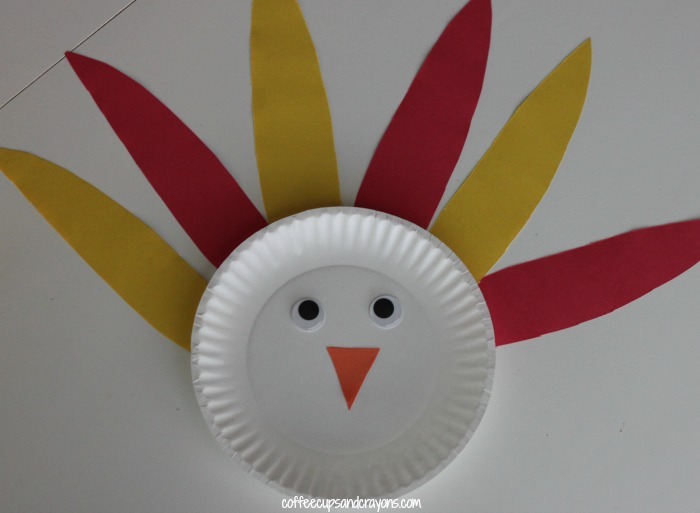 We made paper plate turkey faces using the googly eyes and paper triangles. 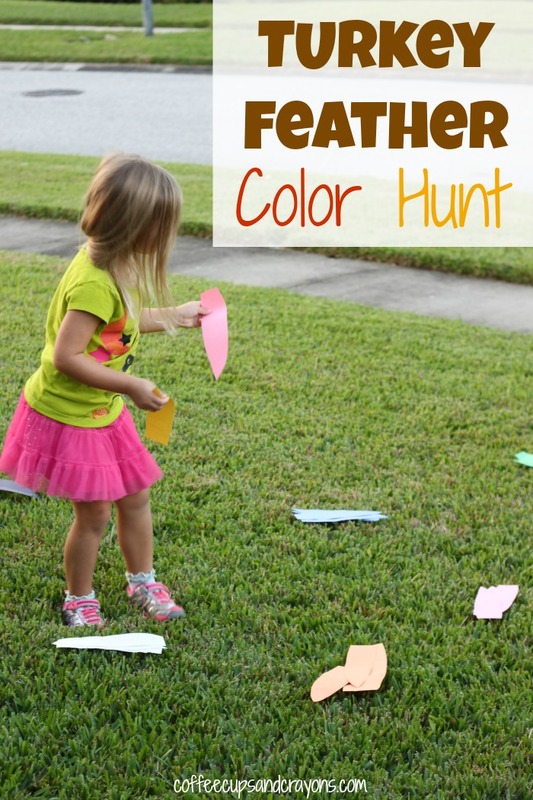 Then the kids used the feathers they collected to create and follow color patterns. Depending on the age of your kids you can do ABAB, AABB, ABC, or any kind of pattern your kids want to create!